What is up? How’s your Christmas season? Before we begin, let me take this moment to congratulate you if you’re able to maintain a good financial standing over the holidays! This is not an easy task. It is not simple to be generous and at the same time not to get broke! It is usually one or the other and Christmas is usually the season to excuse ourselves to be broke in the name of generosity. For those of you whose pockets got destroyed by Christmas, do not feel bad. I am pretty sure you made a lot of people happy! Now let me help you get back on track with your finances. Today, we will be talking about ways to pay off Christmas Debt fast! Ayt, it’s time for statistics to make this blog looks legit!! I got my data from Magnify Money which is an established blog on personal finance (Don’t you there leave my site to go to that one! Mine is more fun!). In this particular survey, they surveyed 769 Americans who reported to went into debt from December 21 to 24 2018. Okay, enough jokes. Here are the stats meant to scare you so I can convince you that my tips are important and will help you pay your debt quickly. 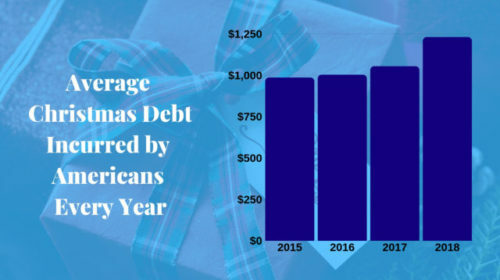 Did you know that Americans incurred a total debt of $1230 in 2018 vs $1054 in 2017!? Here is the best part: 64% of the participants didn’t plan to go into debt! Okay, the bad part is 49% of the participants said they would be able to repay their debts after 5 months or longer!! The worst part is there are 22% who are actually not planning to pay off their debts, instead, they only plan to pay the minimum payments. I hope no one here is considering paying only the minimum payments because it will take us 5 years to pay off a $1230 debt on a 16.5% interest with $30/month minimum payment! Five years! Yeah… Do that every Christmas and you will have a ton of debt in no time. Wealth Builders, there is hope! 42% says that they will be able to pay off their debt in 3 months or less! Since we are all financially responsible people, we will try to pay our debts in less than 3 months as well! Now, the article that I read did not say how the 42 % of the participants will accomplish this task, so its time for me to shine! The first step in solving ANY problem is knowing what the problem is. That being said, it will help us pay off our Christmas debt quick if we know how much we would need to pay because it makes us aware of our financial responsibility. In addition to, it will force us to go on survival mode. Meaning, knowing how much we owe will help us maximize our money since we understand that being in good financial standing will help us survive. It is determined that 68% of those who went on debt used a credit card to purchase their gifts, foods, travel tickets, etc. so it is best to look at different scenarios and learn the best way how to deal with it. If you have a line of credit, then it is better to use it to pay off your credit cards. The advantage of this is you are able to consolidate your credit card debts and you will have a lower interest rate on your debt. A consolidated debt is much better because you can quickly see your total debt and it is less work for you since you only have one debt to pay off. A lower interest rate is desirable because you pay less on the interest. Most of us have multiple credit cards with a varying interest rate. The national average annual percentage rate (APR) in the United States is 16% while here in Canada is ~ 17-19%.If you have many credit cards and each card has a different interest rate then what you need to do is to know which credit card has the highest interest rate and pay that off first. You should allocate more budget to pay it off while paying the minimum payment for the rest of your credit card. Once you finished paying off the first credit card, then go on to the next, and repeat the process until you paid off everything. The easiest and most straightforward of the 4 scenarios. Just pay it off as fast as you can! Once the problem is determined then we need to set a goal on how to solve it. The best solution is to create SMART goals. S.M.A.R.T. is an acrostic for Specific, Measurable, Attainable, Realistic, Timely goals. An example of a S.M.A.R.T. goal is, “To pay off my $1230 Christmas debt on April 30 by cutting my expenses and budgeting more on debt repayment”. Specific: Do not make your goal vague. Be as specific as you can. In our example, we specify how much are we going to pay, what are we going to pay, when we are going to pay, and how are we going to pay for it. Measurable: Our goal should also be measurable. That means there should be a way for us to track our progress. For example, having to pay $1230 in 3 months means we will need to pay $410 per month or $205 per bi-weekly paycheque. In this example, if we consistently pay $205 weekly then we could also see that our total Christmas debt goes down. This tells us that we get closer to our goal as the number goes down. Attainable: When setting a goal, don’t make it to easy; our goal should stretch us so it will challenge us. Solving challenging problems makes our body release dopamine and other hormones that make us feel good and happy. This can help us to become more engaged in following through our goals and it helps us build momentum which we need to reach our goals. For example, paying $410 per month would be a challenge to most. We would probably need to skip several eat-out nights, suspend our Netflix subscription, no new makeup set or no upgrade on your computer,etc. The point is, the more we sacrifice, the closer we get to our goal and this will make us feel good about ourselves. This feeling would, in turn, help us go through the grueling process over and over again until we achieve our goal. Realistic: Our goal should not be just wishful thinking. We should expect that we could achieve it in a foreseeable future. For example, If our monthly payment is $1230 then paying it off in 3 months would be impossible; therefore, we need to extend our timeframe! However, if we make $3000 per month then paying $410 per month is realistic. Timely: Finally, goals should not last forever there should be a deadline. In our example, 3 months is the time we are giving to ourselves to finish it! After you made a SMART goal for yourself, be sure to post it somewhere you can see first thing in the morning, so you will be reminded by it at the beginning of the day. 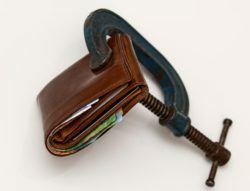 The next effective step to pay off our debt is to cut down our expenses in order to free cash to pay off our expenses. Write down what are our expenses and how much it cost per month. Identify which expenses are fixed and which are variable. Make an effort to cut down our variable expense by 50% for at least 3 months. Research if there are cheaper alternatives to the products and services we use to cut down your fixed expenses. Use the extra cash that we will save to pay off our debt. If you say, “it’s okay I don’t need to cut down my expenses because my monthly income is big enough to pay off my Christmas debt”, then I recommend that you change your goals because it is not big enough. 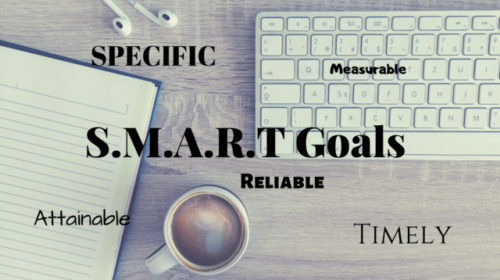 Remember, our goal should stretch us when making a SMART goal! Try shortening your repayment period if this is the case. Another thing that we could do to make sure we pay off our debt on time is to automate our payments. This step is effective because we remove ourselves, especially our emotion, from the process. So there you go lady’s and gents a very simple and straightforward way to pay your Christmas debt quick. Hey Wealth Builders! I want to hear from you what you think about this article! What is the best part? Is there something that you do not agree? Do you have tips to share? Let me hear from you! Feel free to write on the comment section! Did you like what you read today? Please consider leaving your e-mail. There is some real sound advice in there and the overriding message is that it is vital to know the extent of your debt before devising a strategy to pay everything off. The SMART philosophy is a great approach to take and allows you the opportunity to break it down into manageable chunks. One question I would have though is whether you should look to spend all of your spare income on your debt or whether you should still allow yourself a certain amount of money to spend on savings and investments alongside paying a good proportion of your debts off each month. I personally believe that we should tackle our debts first before saving up or investing. One good reason is, especially as of Dec 2018, investing is going down. (Of course, it will go up again). In this situation, we will be losing money from our credit card interest rate plus our investment is actually going down! Say, stocks are on the uptrend and money can be made if money is invested in the stock market. The 10-year annual average return of the stock market is about 8%. Compare that to the average credit card APR of 16%. We will be loosing about 8% if we try to prolong our debt. It’s so crazy to see the survey of debt for each year, and the fact that it keeps increasing. I was happy to see that some tips on saving and cutting back that you recommended, I had actually started to implement. It’s never a good feeling going into the new year, having to play “catch up” on finances. Thank you for the informative post! I hope everyone that reads this also puts these tips into action! Happy to help! I hope that you will be able to pay off every Christmas credit card debt you have if you have any. Your Step 2 is absolutely correct and important: “Step 2: Create a Goal and Remind Ourselves of our Goal.” And, as you said, make the goal SMART. Going about it this way, I’ve found, makes everyone involved in setting the goal invested in the goal. It helps to make everyone accountable to the goal and to those who care about it being realized–even if that means only one person has an interest in it, as specific / measurable / attainable / realistic / timely pertains to any objective, whether it’s shared by one or many. Thanks for the post. I found it informative and inspiring. This is correct. Our chances of succeeding becomes better when we make our goal SMART. Thank you for sharing with us this helpful post on how to pay off quickly christmas credit card debt.To be frank,I have used much money in buying christmas gifts to my family members and I was checking my finances and found that I have a big debt and need to know how to manage it. I got idea on how pay it off due to your advice and I am thankful to you. I’m glad that my tips are helpful. No worries about giving gifts! I honestly admire that. Now that Christmas is over, I hope that we should really be proactive and aggressive in paying off our debt. Hey there. I really appreciate your article. I am a big spender, especially when there are holidays nearby. This is where my credit card usually go on yearly low. After holidays it is hard to get back in saving mode. That is why i found your tips very valuable and helpful. I think the biggest thing with me at least is cutting down expenses, and making sure that you pay even more money then required minimum. This will ensure you are very careful about your next use. Giving big money to cut down debth is something requiring really big self discipline. I’m glad that you liked these articles. To be honest, I believe it is okay to spend and sometimes put it in our credit card, but like what you have shared, we should be responsible for paying it off ASAP. I hope that you will be able to follow through your plans! If you need help, just let me know. I will be happy to help.